12 reviews for "Wudhu Socks"
Alhamdulillah these socks are literally a game changer for when i’m at work. and the all-black sock maintains a professional look. 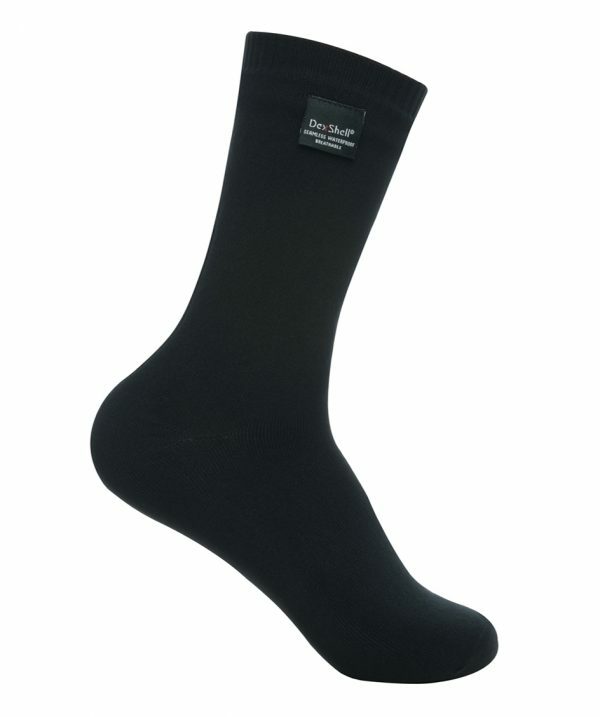 Great water proof socks that wear like a heavier sock. It’s much better then other water proof socks I’ve tried. Alhamdulillah this brother is doing a great job! I switched from the previously popular Sealskinz waterproof socks and I notice a huge difference. These are thinner, lighter and all-black which makes it easy to use at work and in travel. Just recently got some of these and I can’t go a day at work without them. They look and feel like regular socks and the waterproof part is also great for when it rains/snows. This is an Amazing product Mashallah!!! I have worn all types of khuffs from leather to sealskinz and I must say these are the best ones so far Allahumdillah. They are light, breathable, clean looking and most importantly tried and tested backed by reliable scholars. May Allah reward your work immensely. alhamdulillah I love the convenience these give me for making a “speed” wudu, ESPECIALLY at work (office)! These are pretty thick and feel a little like a casing at first when you slip them on, but after that you don’t even notice. I like that they’re fairly long (as far as how high they come up, about quarter shin, a couple inches shorter than standard long basketball socks). It would be nice if they made them in longer and shorter versions. Also, it’s nice that the material is stretchy so you can fit normally into two sizes. Alhumdullilah. I am on the road quite a bit and these socks are excellent. Very comfortable. I wear a pair every time I travel out of town and I am very satisfied. These are important guidelines because WuduGear socks by DexShell are not a pair of ordinary socks but a pair of technical composite products. Improper care will ruin the performance or even damage the products, so please take note and perform these instructions carefully. Be careful to not get the membrane of the socks punctured or it will leak. Make sure you wear footwear over the socks. They are socks after all, not shoes. Proper care will significantly extend the product life and in return the socks will benefit you for longer. WuduGear socks by DexShell are machine washable below 40°C (104°F), but we highly recommend washing them by hand to extend the life of the product.